Check out this marvelous ring! 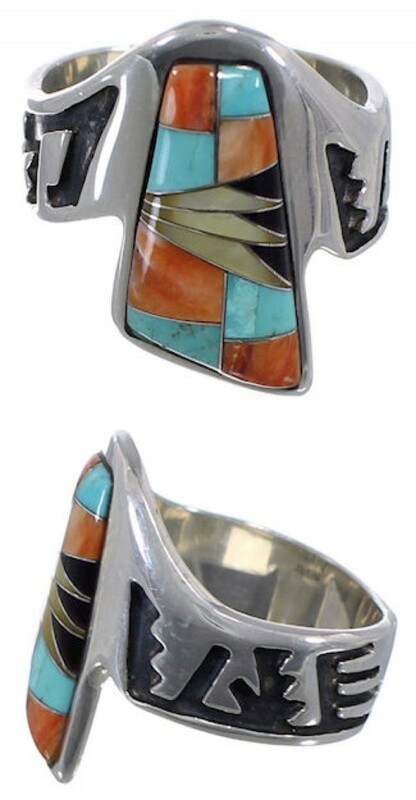 The ring is hand made out of genuine sterling silver and Multicolor inlay. The inlay consists of: real Turquoise, Yellow Mother of Pearl, Oyster Shell and Black Jade. The inlay is carefully set, while thin silver lines can be seen in between. Stamped designs can be seen on each side of the ring for a lovely finish. The ring is stamped sterling and hallmarked.